NEW YORK—U.S. 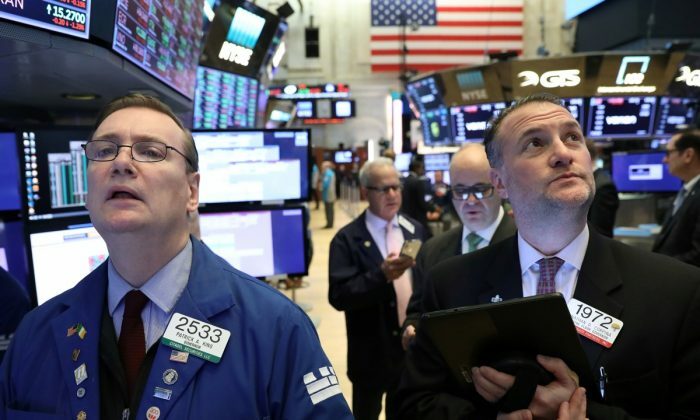 stocks edged lower on Feb. 6 as videogame makers gave disappointing revenue forecasts and investors awaited developments on U.S.-China trade relations. 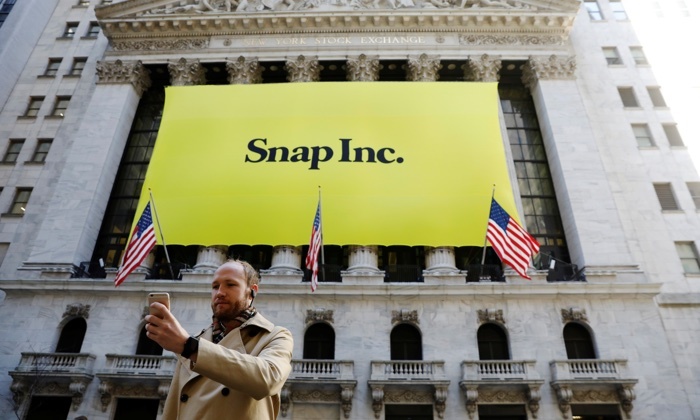 Shares of Snap Inc rose 26 percent on Feb. 6, after the maker of Snapchat messaging app arrested a fall in users on Apple devices and drew a series of favorable reviews from analysts for its progress with a new Android app. Federal Reserve Chairman Jerome Powell will speak on Feb. 6 at 7:00 p.m. ET in Virginia. Though the major indices drooped, the Philadelphia SE Semiconductor Index advanced 2.6 percent. Shares of Apple supplier Skyworks Solutions Inc jumped 11.5 percent after the company announced $2 billion in stock buybacks, while shares of Microchip Technology rose 7.3 percent after the company suggested the chipmaker industry was close to recovery from its recent downturn.